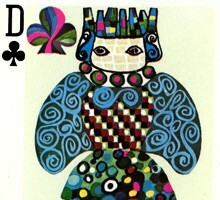 Above: playing cards designed by Geneviève Lirola in 1973 for the “Grand Prix Grimaud”. Indices: R, D, V, A (in 2 corners only); 62x88mms. 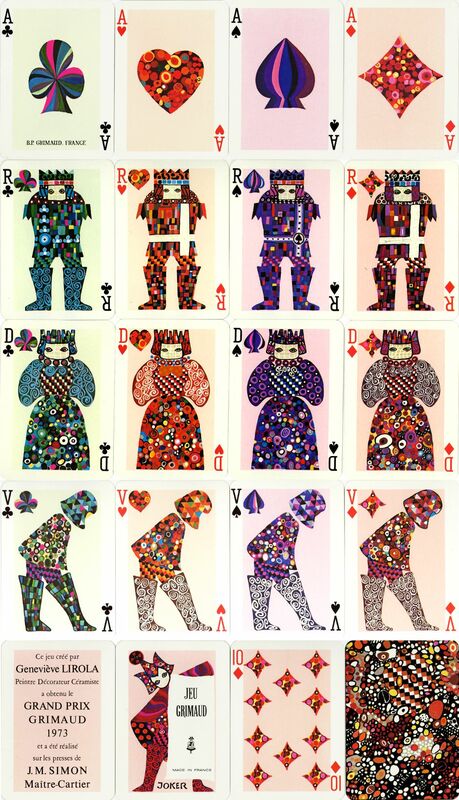 Images courtesy Barney Townshend.